Rather than diminishing our differences, let’s embrace them. What makes us American? 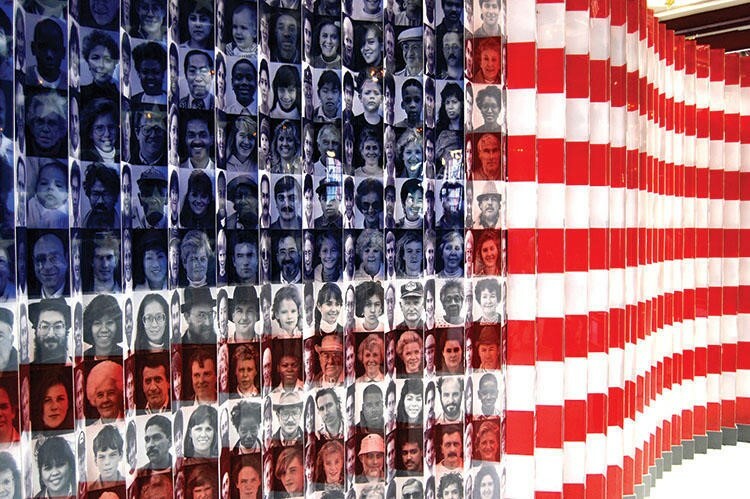 Is it our common love for freedom, our innovative spirit or is it fast food, or our “throw away culture?” The truth is, America is a mosaic of numerous cultures, ethnicities, colors and religions—to the point where it has become impossible to use these attributes as a definition of what makes us American. Do we need immigrants? When immigrants enter the labor force, they increase the productive capacity of the economy and raise the GDP. Their incomes rise, but so do those of natives. It’s a phenomenon dubbed the “immigration surplus,” as stated by Pia Orrenius (George W.Bush Institute). 44% percent of medical scientists are foreign born, for example, as are 42% of computer software developers. Immigrant workers are also overrepresented among college professors, engineers, mathematicians, nurses, doctors and dentists, to name a few. If immigration makes the economy larger, more efficient and productive, what’s the problem? Why do we, as a nation, limit immigration? In the late 1800s, people in many parts of the world decided to leave their homes and migrate to the United States. Fleeing crop failure, land and job shortages and rising taxes and famine, many people came to the U. S. because it was perceived as the land of economic opportunity. Others came seeking personal freedom or relief from political and religious persecution. With hope for a brighter future, nearly 12 million immigrants arrived in the United States between 1870 and 1900. During the 1870s and 1880s, the vast majority of these people were from Germany, Ireland and England – the principal sources of immigration before the Civil War. During those years, Irish and German immigrants came to the U.S. in large numbers. Many Chinese immigrants did, too. In the 1860s, they came to work as labourers on the continental railroad and stayed. Some members of the American public disapproved of these groups because they did not like the Catholic religion that many Irish and German immigrants practiced. And they did not like Asian immigrants, whom they viewed as convicts, prostitutes, or competition for jobs. So, in the late 1800s, Congress moved for the first time to limit the number of immigrants. Lawmakers targeted Asians, especially Chinese. The Page Act and the Chinese Exclusion Act banned most Chinese women and workers. By the turn of the 20th century, the U.S. federal government had increased its role in immigration. It established Ellis Island in New York as the entry point for immigrants. And it oversaw a dramatic increase in the number of immigrants, especially from Italy and Eastern Europe. Many of the new arrivals were uneducated and had little money, but they created a beautiful life for themselves and their families, when seizing the opportunities they found in America. They were proud to be Americans. The case in favor of immigration is that many immigrants are natural entrepreneurs, establishing companies, creating jobs and driving innovation. Well-educated and highly-trained foreign workers are inventive and productive. Expanded work forces increase business flexibility, allowing companies to quickly respond to changing demands. Larger labor forces also encourage specialization. Labor productivity rises as companies adjust to larger work forces and invest in employees. Diversity also makes the country more dynamic and bolsters the workforce. These benefits are highlighted by William Frey, a research professor at the University of Michigan and a senior fellow at the Brookings Institution. “If you only look at the country’s white population, it would look like Japan, with an aging population and too few young workers to grow the economy,” said Frey. In 2017, multiculturalism should be openly embraced in the United States, a country where many pride themselves on having the freedom to be who they are without persecution. America remains exceptional through its diversity and thus continues to be the most powerful nation in the world. We should remember that diversity is an ornament and unity is our strength. What is it to be American? I believe it is our entrepreneurial spirit and ability to embrace change that makes us unique in this world. And the key to this is our diversity!